A great thing about working at RMBL is that other people tell us where our marmots are...OK this isn't always so good--like when a marmot breaks into a car and causes damage (OUR marmots would NEVER do this)--but often it is. A group studying pika just emailed us a photo of a pup, Lamp, who was born this year in town and was just photographed 3 miles away up in Virginia Basin. Unlike other marmots, this one walked there. This is an extraordinary discovery, and there's a backstory. Lamp came from the first litter to emerge in the RMBL Townsite. Her mother is Mohawk. Tragically, all of her 5 siblings were killed by the fox family soon after emergence, but she persisted! Her mom bolted after 4 of her offspring were killed and has not been seen much around her litter (she did this last year too!). 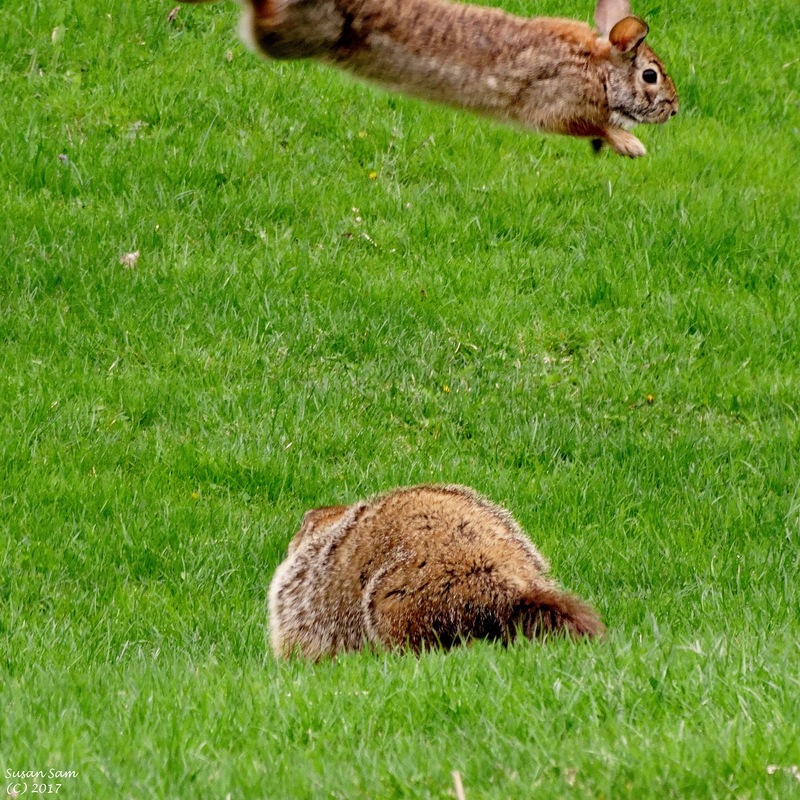 When Lamp was the last marmot alive from the litter, she started exploring town. She was found hypothermic outside a cabin about 2 weeks ago and we warmed her up and put her back into her natal burrow. She hung around for a few days and hasn't been seen since. Now we know where she's been. She's an alpinist. A survivor. And a very curious marmot. Good luck Lamp in your new higher alpine home. I love how marmots interact with other species. 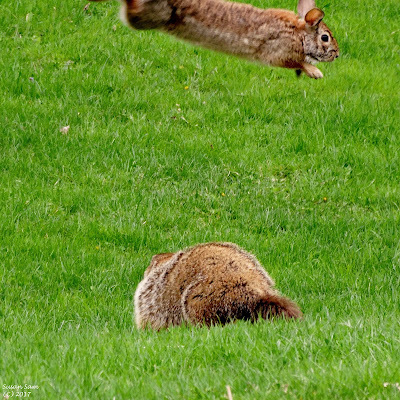 Susan Carol Sam shared this great photo with me of a cottontail leaping over a foraging woodchuck in her backyard!